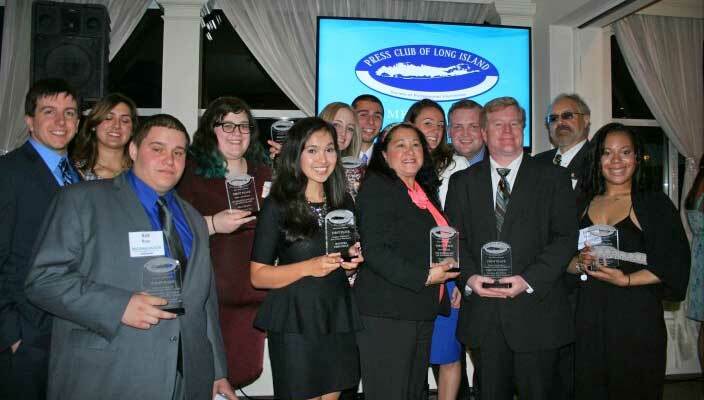 Hofstra student journalists and media outlets took home more than 10 awards at this year’s Press Club of Long Island awards ceremony. 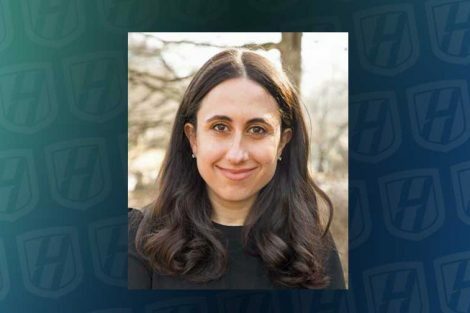 Hofstra students won for their work at campus media outlets such as student-run radio station WRHU-88.7 FM, The Hofstra Chronicle, and the news website LongIslandReport.org. In addition, May 2014 graduate Shannan Ferry won the $1,000 College Journalism Scholarship. The day after graduation, Shannan started a job reporting for the cable news network NY1, covering the borough of Queens, NY. WRHU won five first-place awards in both student and professional reporting categories including college news radio broadcast, business radio broadcast, sports feature radio , and non-local news/feature. Hofstra journalism professor Mario Gonzalez took first and third-place awards, respectively, for his work on the environmental video “Long Island’s New Farmers” and sports feature video “Chris Weidman: “I Was Destined for This” – both stories that he did while on staff at Newsday. Richard DeKorte taking 1st place in the category of Non-Local News/Feature Radio Reporting for his story, “A Year After Sandy Hook – A Mom Chooses Love”. Brianna Borresen won 1st Place for Business Reporting for her work on the WRHU segment, Long Island Business Report. WRHU’s Newsline team made up of Rob Joyce, Rich DeKorte, Shannan Ferry, Ashley Armstrong, Joe Corbisiero, and Marisa Spano took first place in the Student-Journalism College News Radio Broadcast category. Michael Sullivan, Dan Savarino, Mark Prussin, Mark Weiner, and Josh Levin all took first place in College Radio Sports Reporting for the WRHU The Locker Room segment. View the full list of PCLI Media Award Winners.